Michael Roller came to Rich & Cartmill, Inc. in November of 2004. 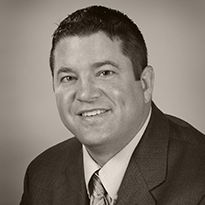 Michael has been in the insurance industry since he graduated from the University of Oklahoma in 1998. Michael earned his B.A. degree in business communications while competing in the sport of wrestling for the Sooners. Soon after graduating he went to a nine month long insurance training program in Owatonna, MN. It was there that he became an insurance specialist for commercial insurance needs. During the next several years Michael won many awards with his prior insurance company as an insurance producer. Among them was a three-time big-hitter award, two-time presidents council award and he earned the “top twenty-five marketing representative in the country” honors on two separate occasions. He received his Certified Insurance Counselor (CIC) designation in 2010.